Manufacturing is the King of Industries, yet leads to political disruption. What are the numbers behind all the outrage, and how should we view the phenomenon? Manufacturing is controversial today. The perceived lack of it in the US and UK, combined with its rise in China and Mexico, is a direct cause of the sharp political tremors of Brexit and Donald Trump. Meanwhile, manufacturing powerhouse Germany keeps putting one foot in front of the other as it addresses the issue seriously and practically. 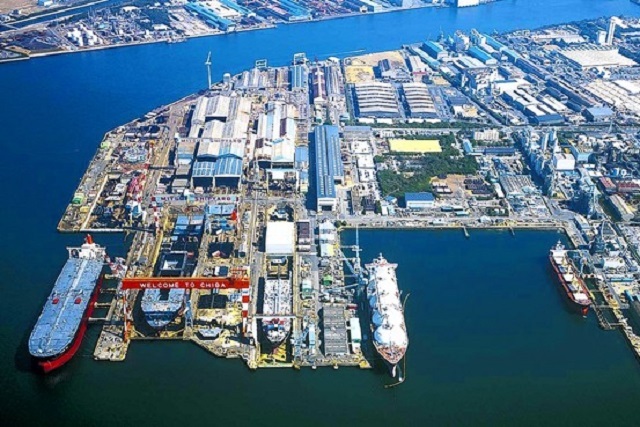 Traditional Asian manufacturing leader Japan and more recently, South Korea, are also thriving in the early years of the 21st century. What is really going on here? Can and should practices from Germany’s “Industrie 4.0” and Northeast Asia be applied to the fading powers? And to what degree do enterprise IT technologies play a role? The term Industry 4.0 comes from the original German term “Industrie 4.0,” which is a detailed, thought-out plan, not just a buzzphrase. 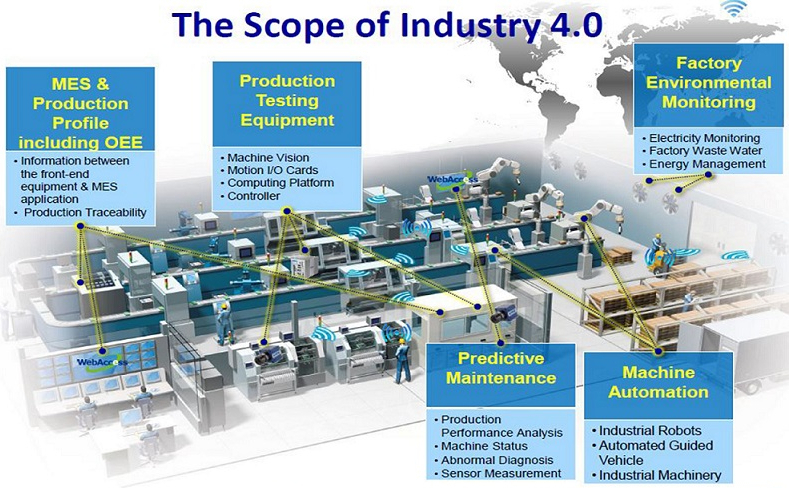 The “4.0” refers to the use of connected, “smart” machines in a fourth historical era of manufacturing. Both variants of the term are complemented and to a large degree duplicated by the concepts of Manufacturing 2.0 and the Industrial Internet of Things (IIoT). The official “Industrie 4.0” document, originally released in 2013 by Germany’s Federal Ministry for Economic Affairs and Energy, is available in English. “Industrie 4.0” is not a technology and not a trend in the German view, but thought of as a platform that addresses human, environmental, and economic issues, as well as technology. 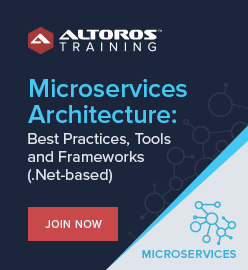 Industry 4.0 brings together all the great trends I’ve been covering in this series: cloud computing and PaaS, big data (and ZettaStructure), the Internet of Things (IoT), and artificial intelligence (and its cognitive siblings). Even blockchain can be in there—imagine smart contracts among manufacturers, suppliers, dealers, and customers (read more about this). 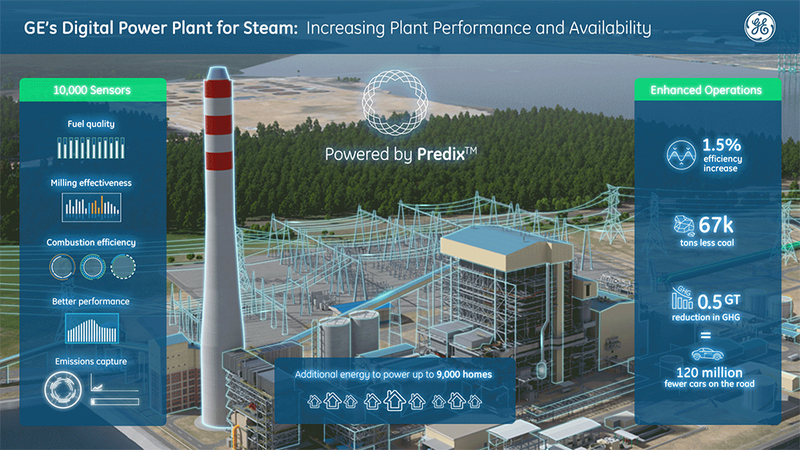 GE is one of the most active participants, using its Predix analytics platform (which is based on Cloud Foundry) to address what it calls the Industrial Internet of Things in aviation and other high-end manufacturing. We’ve written extensively about this topic over the past year. IBM also has built upon the Cloud Foundry platform, with its Bluemix offering. 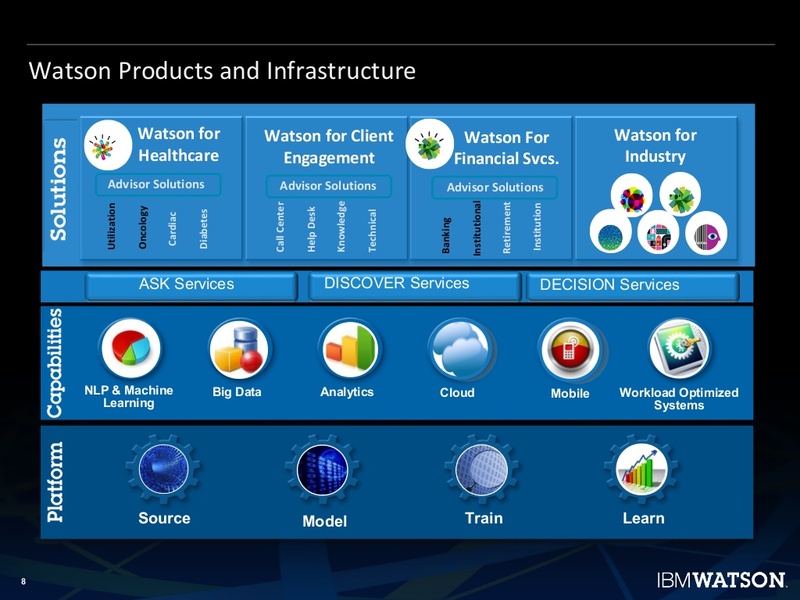 It further integrates Bluemix into its overall IBM Watson cognitive computing push. IBM and GE collectively can be seen as two big gorillas in this new era of manufacturing. Ford Motor Company provides another great example of what’s going on. 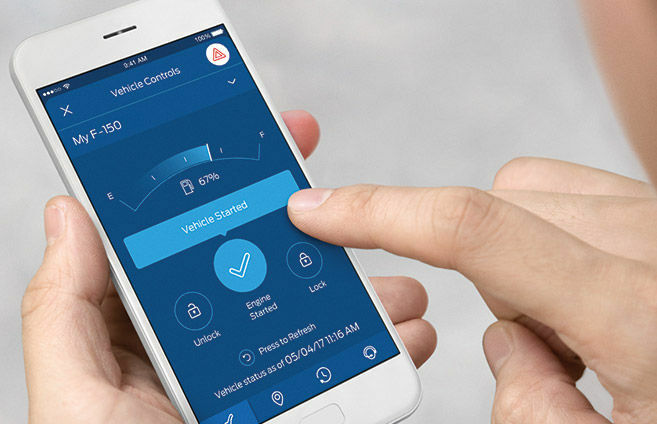 Although all of the world’s major automakers have sophisticated manufacturing practices and deep research, Ford has also committed to Cloud Foundry as a key technology in its strategy. The company invested $182.2 million in Pivotal in May 2016 to integrate Cloud Foundry as part of its future, which relies on data insights as much as manufacturing processes. Other global automotive manufacturers, such as Daimler/Mercedes-Benz, BMW, and Volkswagen, are also joining the game, while adopting Cloud Foundry-based platforms. Germany is well-known for its small- and medium-sized manufacturing sector, known as the Mittelstand. 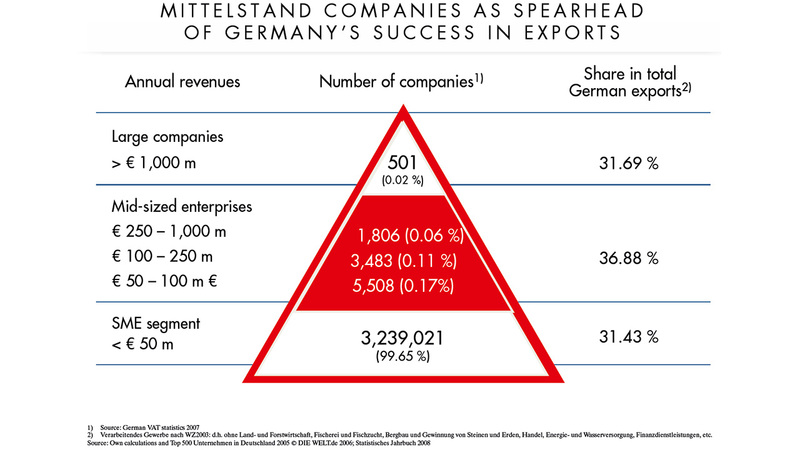 This group of more than 3 million family-owned companies with annual revenues of under 50 million euro comprise 99% of all German manufacturing companies. They produce about 31% of the country’s exports, equal to the amount produced by the 0.02% of Germany’s industrial giants. Almost 20% of the German workforce is in the manufacturing sector. In contrast, the US has around 250,000 manufacturing firms; 98.5% of them have fewer than 500 employees, according to the National Association of Manufacturers. There are 12.3 million manufacturing workers in the United States, about 9% of the workforce. The UK employs 2.6 million people in manufacturing, about the same proportion of the workforce as the US. Japan and South Korea are dominated by automotive, electronics, and other conglomerates with many familiar brand names, while China has a combination of large enterprises and innumerable small manufacturers. Each country employs 18 to 20% of its workforce in manufacturing, similar to Germany. Given China’s population, this results in an astounding manufacturing workforce of more than 100 million people. This point provides a dramatic insight manufacturing in the world today: China’s manufacturing output is 50% larger than that of the US, but with more than eight times the number of workers. Shall we become less productive? The US manufacturing industry, in other words, is about 5.5 times more productive than that of China. Similarly, the US manufacturing sector is almost four times more productive than that of Mexico, which employs close to 3 million manufacturing workers, generating $205 billion in annual revenue. Mexico produces only 9% of the manufacturing output of the US, with 24% of the number of workers. “Industrie 4.0,” effectively applied, will certainly not add low-productivity manufacturing jobs. On the contrary, it will create a new class of data analytics specialists and other enterprise IT employment. This is the direction in which a reasonable manufacturing policy should head, rather than try to restore inefficient jobs that simply cannot provide reasonable incomes or business cases in developed nations. This can sound like a cold, ivory-tower argument to people who have seen the modern economy pass them by. These are the core people who voted for Trump (as I have previously written) and Brexit. The numbers seem inexorably stacked against them, yet the solution seems damnably out of reach. It is difficult to see a far horizon of, say, 25 or 50 years when it comes to manufacturing. Will low-end products just continue to be handed off to lesser and lesser developed nations, in perpetuity? 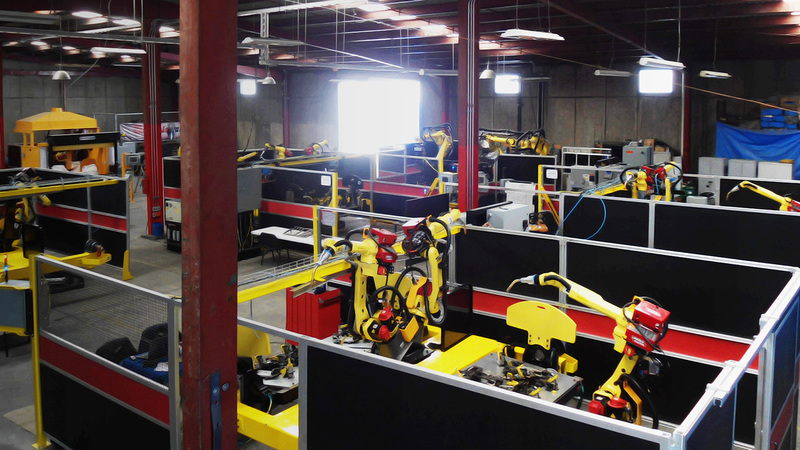 At what point can we envision a highly efficient, data-driven global manufacturing industry? More important, to what degree will raw passions rule people who feel left out of the modern economy, dreaming only of restoring the way things were in a bygone era? Did someone really steal the jobs? Giving a drive for productivity that “Industrie 4.0” will only stimulate further, we need to ask whether China and Mexico really “stole” jobs from the US and UK. A widely reported point of view says “no.” Many reports say that 87–88% of the manufacturing job loss was due to automation, with only 12–13% of it attributable to jobs moving to Mexico and China. During the past 15 years, in fact, the proportion of Mexico’s economy devoted to manufacturing has decreased, from 20% to 18%. The more-efficient US has seen manufacturing drop from 16% to 12% of its economic output, even as revenues increased from $1.6 trillion to $2.2 trillion. The UK saw manufacturing drop from 15% to 10% of its economy, while Germany held stable at 23%. So, it may seem that the US and UK should be more like Germany. Yet, research that I’ve led in recent years, which measures the relative progress of IT development in 100+ nations and tends to favor developing nations, finds the UK in 9th place in the world. Germany comes in at number 17, the US is number 37, and China lags at number 64. Why? We can return to the relative productivity of the US and China cited above for part of the answer. The other part of the answer comes from how fully each nation is committing to Internet access, high-speed bandwidth, and other key technology factors, given its resources and balanced by its level of income disparity. By these measures, the UK is better set for the future than Germany and the US, let alone China. 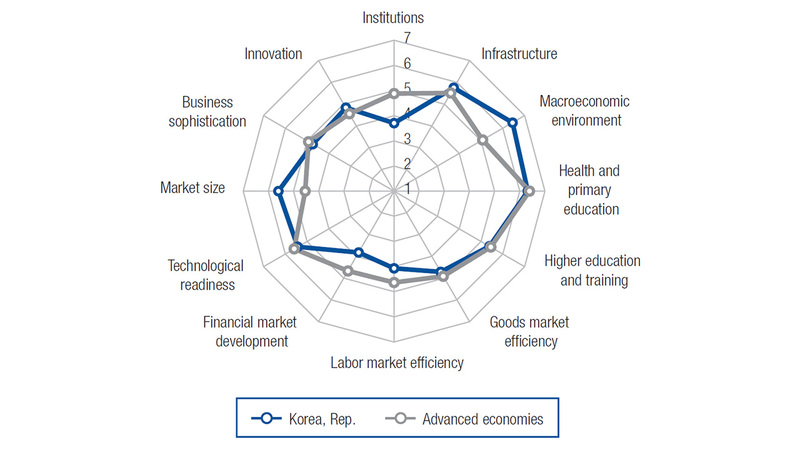 Even better set are South Korea (at number 6) and Japan (at number 15), which are exquisitely balancing manufacturing development, IT development, and societal balance. Manufacturing is the King of Industries, and should be. High-fiber carbon materials may gradually be replacing steel, connected electric vehicles replacing the automobile as we know it, and software imbuing new brains into this fourth industrial era. But it’s still manufacturing. No matter how “smart” our systems get, no matter how much new data we create, and how many great insights we divine from it, we still have to make stuff. Oh, that discussions about manufacturing, economic development, and equitability could focus on numbers and analysis rather than random uttering of uninformed propagandists. However, all societal discussions have been plagued with this problem since the beginning of humans, so we can’t expect things to change. We can, however, look to see where “Industrie 4.0” and all that it encompasses can be put to use, and how it can not only improve efficiency and profits, but the societies to which it is applied. The post is written by Roger Strukhoff and edited by Alex Khizhnyak and Sophie Turol.